Christmas Trees, Parade and a Sing Along in Jefferson on the evening of November 29, 2014 is going to be loaded with Christmas excitement in Jefferson TX. First watch the annual Christmas Parade as everyone winds their way from downtown up to Lions Park for the Christmas Tree Lighting Ceremony. 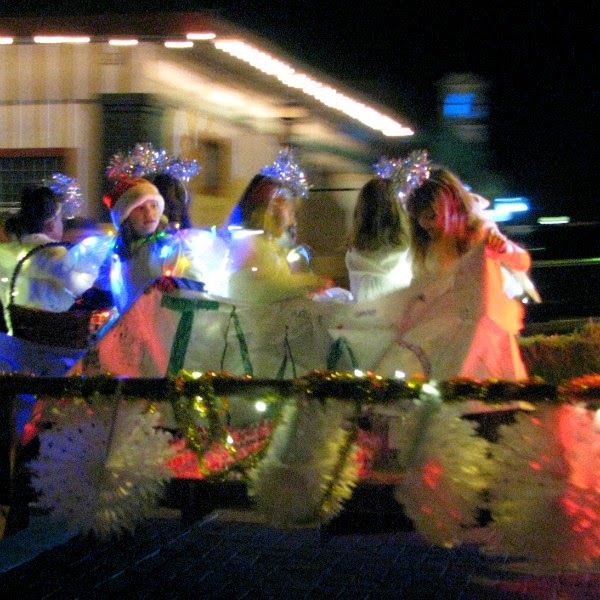 The parade will go around the park so everyone can see all the vehicles lit up and join in the merriment. Once everyone is at the Enchanted Forest, the Tree Lighting Ceremony will begin with introductions of dignitaries, Christmas Carols and of course; no Christmas event would be complete without an appearance from Santa for the kids to enjoy. After all the people and children are at the park the Christmas Trees will be lit for the season to Ooh’s and Aah’s and more Christmas Carol singing. Then it’s time to stroll through the park to view all the beautiful trees that were decorated by the town’s folk and local businesses. That is the way our lovely town enjoys kicking off the Holiday Season!! !